My new memoir cover! — Lindsey O'Connor's site. For True Storylovers. 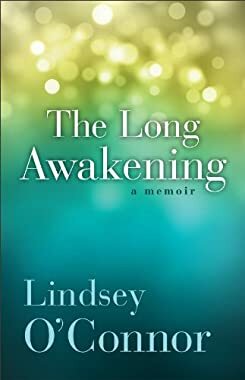 My new memoir, The Long Awakening, has been a long time coming, and it launches on October 1st! Here's my new cover. As soon as I saw this final design I grabbed the phone and called my publisher, smiling, my heart beating a little faster, to tell them I loved it. They captured the feel, and the metaphor, of my story with an image. Seeing the art that will wrap around the words that are shaped into story, makes it real—an idea is about to become tangible. I can finally picture my words in readers hands as a physical thing, a story that has lived in me and I've wrestled out of me for ten years (yes, TEN years, but that's another story). I just thought I'd share what this book is finally going to look like.